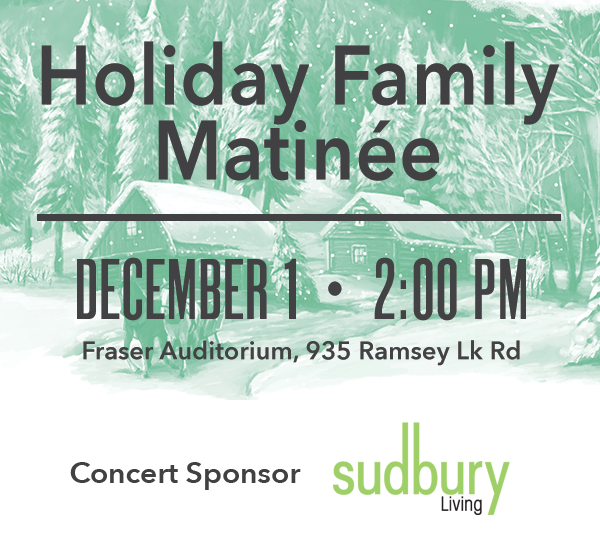 All of your holiday favourites in one remarkable concert! The SSO returns to its traditional holiday concert, inviting you to take a magical journey with us as we perform heartwarming holiday favourites. Join us for an unforgettable afternoon of celebration and good cheer. Warm up your singing voices, as we once again, invite everyone to join in on our holiday sing-along.